If any room in your Worcester home is the centerpiece of your property, then that room is the kitchen. Not a day goes by in which this room is not highly used. You and your family gather in this space after work and school. Every party ends up with all the guests congregated in the kitchen. Because this room is so important, you can make substantial improvements to your Worcester home by remodeling your kitchen. 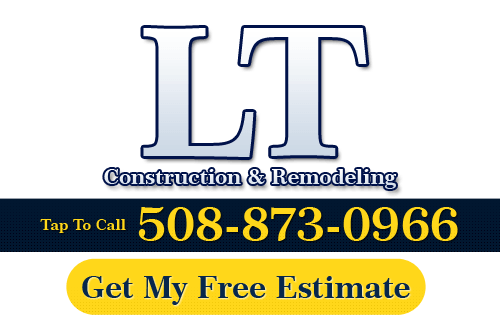 In order to help Worcester residents maximize the benefits of their kitchen remodeling project, the professional remodeling team at LT Construction & Remodeling has provided the following tips. These tips are intended to help you start thinking about your prospective remodeling project. Their polite and courteous staff is always ready to help you in any way that they can. They can provide you with much more in-depth advice. The first thing that you should do when you are considering updating your Worcester kitchen is to consider your budget. This does not have to be a hard-fast number; rather, you should consider the range in which you can operate. By determining a budget range, you can then better consult with a professional remodeler. The remodeling contractors at LT Construction & Remodeling can provide you with expert advice as to what you can achieve at differing price points in your budgetary range. This flexibility allows you to make the choices that you believe will best enhance your family’s quality of life. The budget ceiling ensures that you do not overreach in your kitchen remodeling project. Because your kitchen is so highly used, it is important to consider the lighting sources that will illuminate the workspaces of your kitchen. A kitchen remodeling project is only as successful as the resulting kitchen is functional. The kitchen remodeling experts at LT Construction & Remodeling can help you install lighting fixtures that both beautify your kitchen and improve its functionality. The experts at LT Construction & Remodeling believe that every remodeling project is an opportunity for the people living in their home to express their identity. You should not look at a remodeling magazine and simply choose a style based upon a picture. If you and your family put a little bold twist into the project plans, you will likely enjoy your new kitchen even more. Because kitchen remodeling projects in Worcester should both improve the aesthetic and functionality of the room, it is essential that you install new features that accomplish both of these goals. Kitchen islands and backsplashes both vastly improve the look of your kitchen while adding substantially to the usability of the room. The expert kitchen remodelers at LT Construction & Remodeling can help you with other remodeling ideas that will have marked improvements to your room. By customizing their services to your needs, they guarantee that you and your family will be completely satisfied with new Worcester kitchen. If you are looking for kitchen remodeling services in Worcester, then please call us today at 508-873-0966 or complete our online request form.